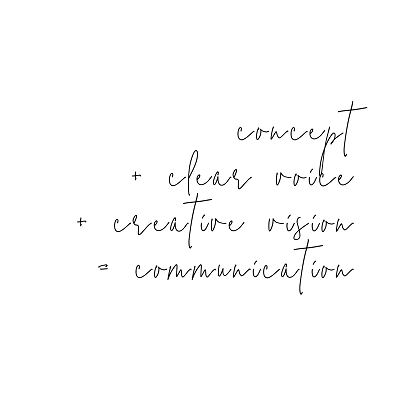 How to Use Your Brand Consistently — The Hello Co.
Concept: What are you trying to communicate? Determine the concept you want to convey. Are you sharing, showing, selling, or storytelling? On social media and in newsletters, keep it a mix of all four areas. Sharing: Press, awards, accolades and testimonials. Your professional acumen appreciated and acknowledged outside your office. Showing: Showing a work in progress, a product coming soon, or your product in use in your office. Selling: Straight up request for people to head to your site to buy from you. Storytelling: More detailed content about the heart and soul of your business. Can include a behind the scenes peek at you, your favorite quotes, or inspiration you find around you. Can be more personal or kept strictly professional, but it should share a glimpse of you and your business. Clear voice: Tap into your brand personality. If you have a defined list of keywords for your brand and products, use them. Consistently. Be clear about what you are communicating. 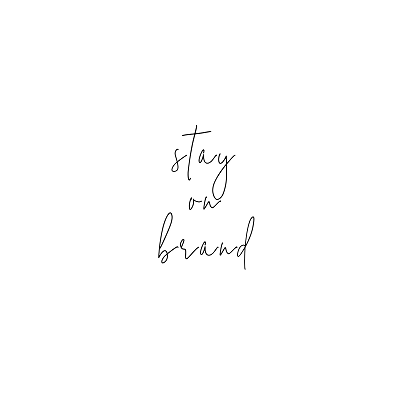 And if you have a team, make efforts to create a cohesive “voice” for your brand. Creative vision: Curate images that fit within the visual imagery of your brand. Stay on brand and stay creative. This may require purchasing stock photos or even better, hiring a photographer to capture multiple images. Take time to edit photos you take and stay within the same “look” or “feel” with your imagery. Track your feedback and response on newsletters and social media and continue to produce similar content that has been proven to work! When you apply these three steps, your clients will start to see an organized aspect to your communication. They will know what to expect from you and appreciate the interrelated attributes that uniquely define you and your business.